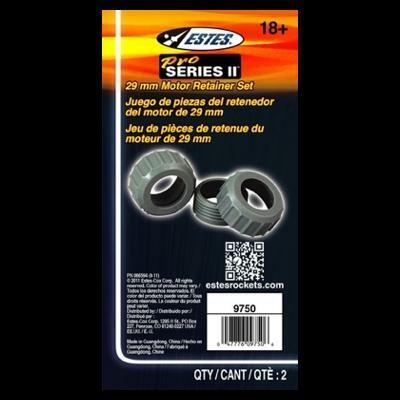 Motor Retainers for 29mm Motors (2 Pack, Estes). 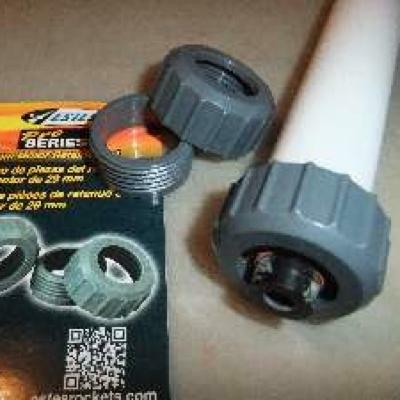 Two-part retainer - threaded part is glued to the outside of 29mm Motor Tube (fits our T-29 Tube) and the other piece screws onto it to hold the motor in place during the ejection charge. Can be retro-fitted onto many models that are already built as long as the end of the engine tube is exposed far enough (about 1/2" or longer). 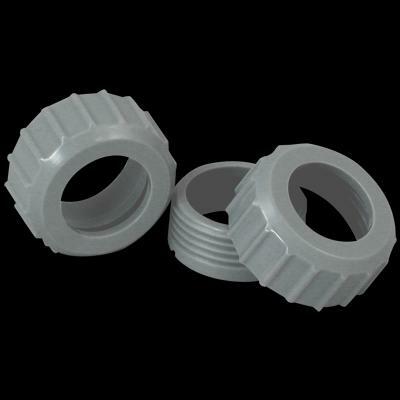 For use with 29mm motors only. Comes two sets per package.